Horror films, thriller or an Alpine western – young directors are bringing a new genre diversity to German cinema, but can they also gain the trust of cinema-goers? There is only a short period when the camera – and with it the narrative – take time out in Sebastian Schipper’s film Victoria. The eponymous female lead, a Spaniard now living in Berlin, is playing the piano shortly before dawn in the café she is supposed to be opening up to guests. The male lead, known as Sonne, is listening and is rendered almost speechless by the sense of yearning – his own and hers. Yet this is only to be a moment of brief calm before the two find themselves embroiled in a bank robbery and a hectic blend of chaos, fear and adrenaline that turns emotions, certainties and the images themselves on their heads. Victoria won six German film awards in 2015. The film transports its characters out of the romantic confines of everyday life and its possibilities and propels them into the cinema cosmos of the thriller genre with all its criminals, police and tales of life and death – and does so in a single unedited shot. Where is the diversity in genre cinema? Urs Spörri, a cultural manager and curator of film series for the German Film Museum, hopes that Victoria will mark a turning point in the way genre cinema is regarded in Germany. 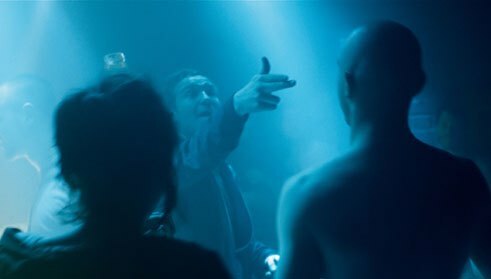 “The film brings together precisely the two most promising current trends in German film, namely improvisation and genre”, says Spörri. For some time now, directors such as Axel Ranisch, Isabell Šuba and Jakob Lass have been creating a stir with very direct stories copied from real life in which they allow their actors considerable scope for improvisation in front of the camera – a movement that is often labelled “German Mumblecore”. But which films can be included under the broad umbrella term of genre cinema? In the Lexikon der Filmbegriffe (i.e. Glossary of Film Terms), film studies expert Hans Jürgen Wulff describes genres as “sets of cultural conventions” and “narrative strategies that have become routine”. The comedies with which actor-directors like Til Schweiger and Matthias Schweighöfer attract cinema-goers in their millions count among them, and also the crime series which have millions glued to their televisions every Sunday evening. According to the Genrenale festival organizers, however, it is precisely this kind of excessive and one-sided routine that is currently paralysing German cinema. “Standardized romantic comedies and anaemic, anaesthetizing television with always the same old faces”, is the complaint they make on the website of their festival. This diagnosis is not necessarily new: the pressure on a mass medium such as television – which in Germany also provides much of the funding for cinema – to make programmes with mass appeal ensures that readily accessible topics in the form of family dramas or indeed comedies are a regular feature. By contrast, Germany’s public-sector film funding system is often criticized for insisting all too often on material that has social or historical relevance. This leaves little room for the darker or more mysterious elements, for horror films or for the spectacular creation of new worlds in science fiction. “Things are gradually changing”, observes Krystof Zlatnik, however. A filmmaker who co-founded a platform called Neuer Deutscher Genrefilm (i.e. New German Genre Cinema), he is responsible for the Genrenale programme. Urs Spörri is also confident that “German cinema is currently developing a greater genre diversity”. Baran bo Odar’s hacker thriller Who Am I for example earned a good 5.5 million euros at the box office in 2014; his tale of paranoia taken to amusingly hysterical heights was seen by over 750,000 cinema-goers – a respectable success. In the film, the encrypted chatrooms of the hacker scene are portrayed as a surreal underworld, as underground train carriages full of characters with sinister masks and distorted voices; a colourful yet at the same time extremely threatening parallel universe. Such fantasy worlds, which have long been absent from German cinema, are now beginning to blossom again – even if not all of them achieve a comparable degree of success. Till Kleinert’s nightmarishly beautiful horror film The Samurai for instance, which to some extent is about life in provincial Germany and people’s fear there of being different from everyone else, attracted fewer than 1,500 cinema-goers when it was released by the small entrepreneurial film distributor Edition Salzgeber at the end of 2014. Andreas Prochaska’s The Dark Valley, a much bigger-budget Alpine western with a star cast, only just managed that same year to sell more than 100,000 tickets. So far, there appears to be a marked interest in German genre cinema among filmmakers, but less so among audiences. Krystof Zlatnik wants the “trust of cinema-goers, and films which also deserve such trust”. As he explains, this is not least a question of narrative credibility: “Some stories that work wonderfully well in the US simply have less of an impact here. For example, it is harder to convince audiences here that someone has lost their way in the woods in Germany, where the next village is never all that far away”, says Zlatnik. Another typically German aspect is also the fact that people do not believe that a film which aims to entertain can make any relevant comment about reality. A new diversity in German genre cinema that is able to grow beyond the confines of comedies, social dramas and crime thrillers needs to have the courage to embark into the world of fantasy and in some cases requires a degree of anger about the present. It needs authors and directors whose heads are in the world of cinema but whose feet are firmly on German soil, and who know how to transport their audiences into other worlds without ever entirely leaving their own. “It is important for directors to have their own signature and stance, and to incorporate these into the respective genre conventions”, says Urs Spörri. “In this context the German film funding system would actually permit some very exciting blended forms which would have no chance of success in purely commercially-oriented cinema cultures.” He sees Bastian Günther’s California City as one such example: a mixture of fiction and documentary, of essay, western and science fiction, that was hitting German cinemas in August 2015. California City is not a film with mass appeal either – but perhaps evidence of the creative diversity in German productions and a small step towards greater trust in the spectrum of German filmmaking. Tim Slagman is a freelance cultural journalist specializing in films and a translator.